Since starting my Beachbody Coach business in 2009, I’ve have the most amazing experiences of my life. Besides being healthy and fit, I’ve made great friends, helped hundreds of people, and work from home full time. I’ve been in the top Coach list many times, top Shakeology earner, trip earner and, well I could go on. It has not always been easy, what business is? I’ve had to learn, pick myself up a few times after falling, work hard, and keep myself focused and motivated for continued success. Since the beginning of my Beachbody Coach business, I’ve seen many coaches come and go. Honestly, there are just a small percentage of people that succeed in this Beachbody Coach business. However, every Coach is given the same opportunity, tools, and system to succeed. You might wonder why some Coaches fail with their business if everyone is provided with the same business tools and system. Here are the tops reasons I found as to why Coaches fail with their Beachbody businesses. If you want to succeed in this business, you can – anyone can! Just don’t make these mistakes! Don’t do the daily activities that are necessary for success. When you have your own business, you must take action daily in several areas. For example, talk to 2 people a day about Beachbody. Coaches that failed to make money in this business don’t follow this simple step. Instead, they talk to 1 person today and another next week. Now, if you owned a coffee shop, would you go to work today and then not again until next week? No of course you wouldn’t. You would do the daily activities that are required for your business to be a success. It all comes down to consistency. When you consistently do the activities that are necessary for success, your business will pay you in the long run. Don’t listen to or read any personal development books. Personal development is the key to your success. I discovered that coaches who give up, usually have not been working on the most important person in their business: that is, themselves! Your attitude, mindset, and relationship skills are what will help you stay focused, motivated and help others to succeed. It also helps you understand how to set goals and achieve them, and overcome fear. 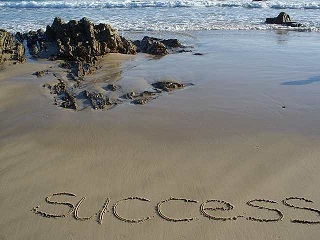 Most importantly, personal development helps you become the person that people want to be around and do business with. Don’t plug-in to team or corporate events and conferences. Attendance at these meetings is critical to your success as a Beachbody Coach. Yet, many coaches don’t bother getting involved. By staying connected to the company that you partnered with, you will gain valuable training information, see the bigger picture by listening to/being around other like-minded people, and grow your confidence in the company and yourself. Out of the above items, the biggest reason I see is number 1. Although Beachbody gives us a proven game plan to follow, many coaches just don’t bother. Then they get frustrated and quit. If you want to start a business, Beachbody Coaching is fun and can be lucrative for any person that wants to treat their business like a business and do what it takes to make it happen. It takes time, consistency, and self-motivation. Imagine, if you consistently do a little bit each day, you can grow a successful, thriving business. 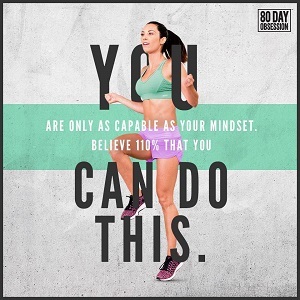 Beachbody gives each coach the tools needed to succeed, you just have to use them and do the activity! Be a Coach – Join My Team Today and Let’s Succeed Together!